Caribbean rubbed salmon fillets grilled to perfection and served on top of a bed of quinoa, black beans, and delicious homemade mango salsa! Happy Friday Friends! How excited are you that the weekend is finally here? I’m pretty darn excited, although I can’t say there has been a time when I said to myself “oh man the weekend is here!” because that would just be weird. I don’t really have anything big planned. My husband will be gone golfing all afternoon Saturday which he of course is thrilled about. I’m thinking that will be the perfect time to do some things around the house that I’ve been neglecting for what seems like forever…or maybe I’ll just put on my swimsuit and go lay out on the deck with a cocktail and be a lazy bum all afternoon. 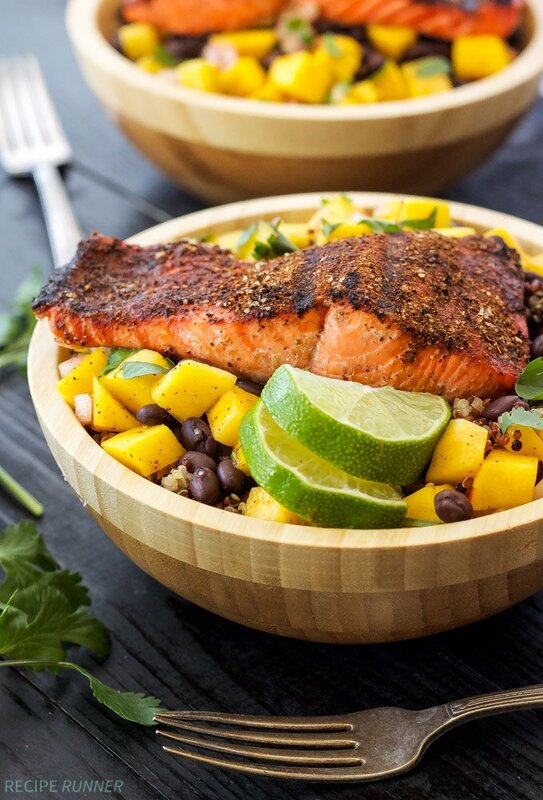 One thing I plan to make again this weekend are these Caribbean Salmon Quinoa Bowls. 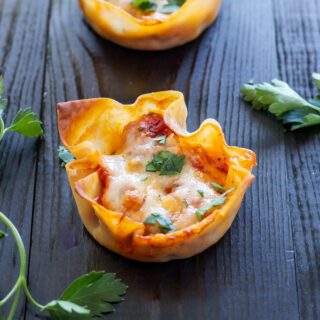 I’m thinking they will be perfect for Sunday night dinner. This isn’t the first quinoa bowl I’ve made and shared a recipe for, in fact I have several quinoa bowl recipes. This is however the first one I made with salmon. I love how rich and flavorful salmon is not to mention how beautiful it’s color is! Salmon is something we grill often in the summer and it helps that I have a freezer full of it thanks to Sizzlefish! If you haven’t checked them out yet you really need to, especially if you live in a state that is no where near fresh water or an ocean. Normally when we grill salmon we keep it simple and just use salt, pepper, and some lemon juice to flavor it. Recently though I was craving some tropical/Caribbean flavored food, I’m guessing all the summer heat has something to do with that, so I thought making a Caribbean spiced rub for the salmon would be good. The spice rub includes, chili powder, cumin, allspice, coriander, cinnamon, cayenne pepper, and salt. The list of spices is a little long, but when they’re combined it creates a slightly spicy, warm, rich flavor that pairs perfectly with the flavor of the salmon. 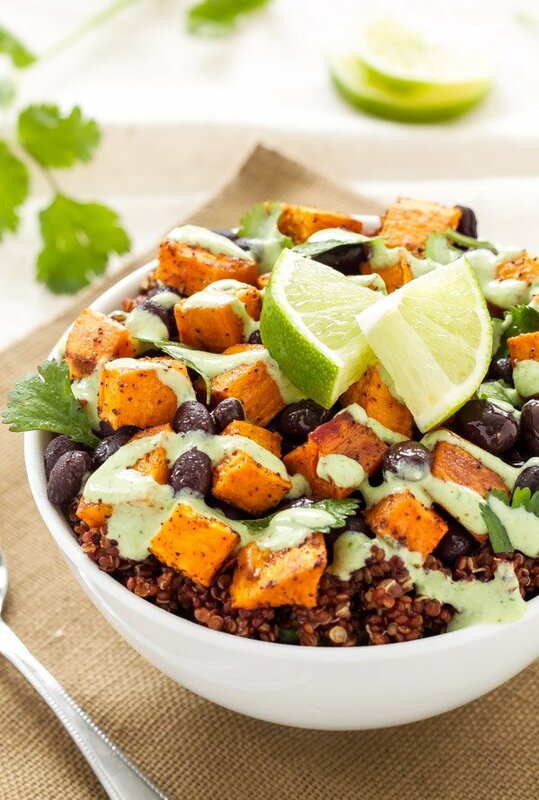 Since this is a quinoa bowl there is obviously quinoa, I like to use the tri-color kind because I love the colors, but any kind of quinoa will do. 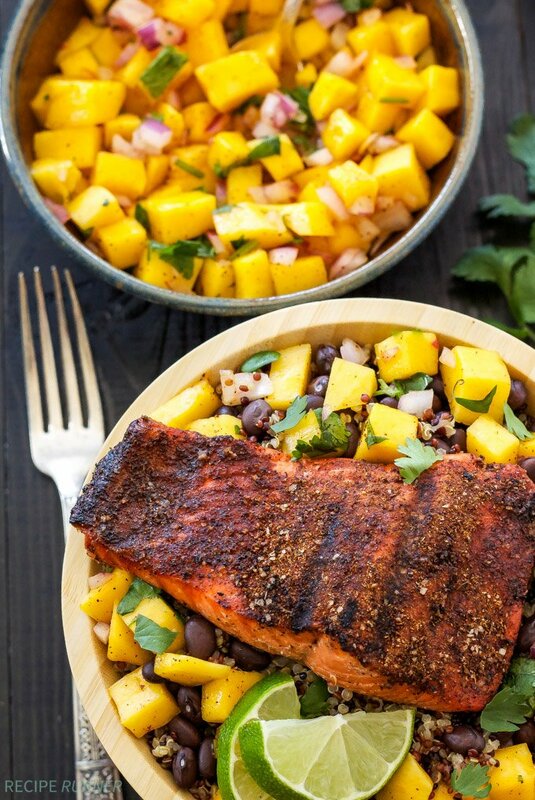 Along with the salmon and quinoa you will also find black beans and an easy, super flavorful mango salsa. Mangos taste so sweet and delicious right now, and it was an obvious choice for me when deciding what kind of salsa to make. 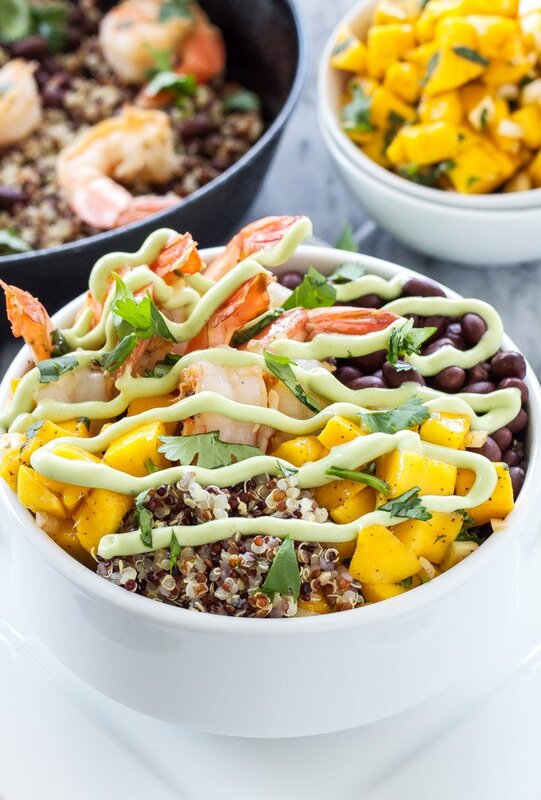 These Caribbean flavored quinoa bowls are full of healthy proteins and carbs and are a great choice for a fresh and filling summer dinner! In a small bowl whisk together all of the spices for the salmon fillets. Divide the spice mixture evenly between the salmon and rub it into the fish. Place the fillets on a grill that has been heated to medium high heat and the grates have been oiled. Grill for about 4-6 minutes or until the salmon flakes when tested with a fork. In a medium sized bowl toss together all of the ingredients for the mango salsa until combined. 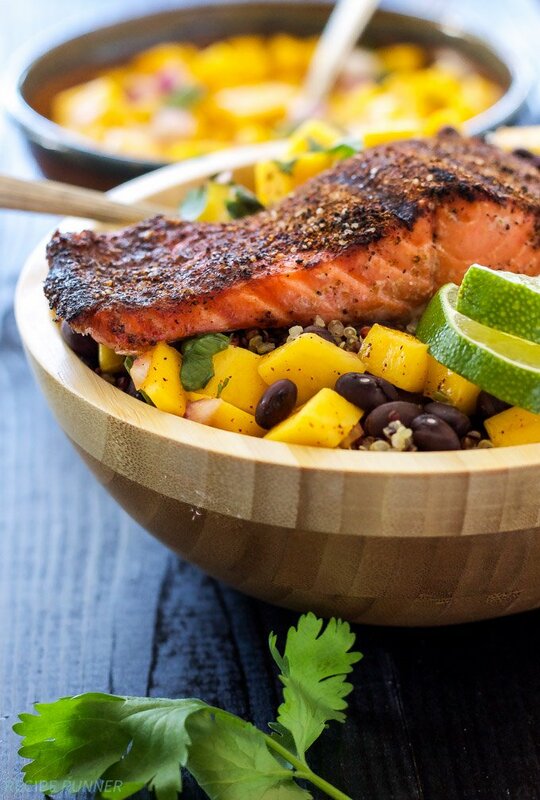 In 4 bowls, place 1/2 a cup of cooked quinoa, 1/4 cup black beans, 1 salmon fillet, and some of the mango salsa. If you don't have a grill you can also broil the salmon in the oven or pan fry it. Sizzlefish salmon is MY JAM! I could eat it for every, SINGLE. MEAL. Especially when it's paired with that quinoa, sweet mangos and black beans! This dinner is my JAM. Pinned! Sizzlefish follows me on IG I need to reach out to them since I'm just starting to learn to love fish...haha :) Love the look of this bowl. It's a big bowl of delicious protein....yum! Do it Brandy! It's so awesome having a box full of tasty fish delivered to your front door, it makes dinner so easy! Weekends are the best time of the week and I want to swim in bowls of this salmon quinoa bowl! Salmons is the best fish ever and this looks spectacular, Danae! Thanks Julie! Salmon is by far one of my favorite kinds of fish! Wow, that combo of salmon, mango, and black beans is unbeatable! 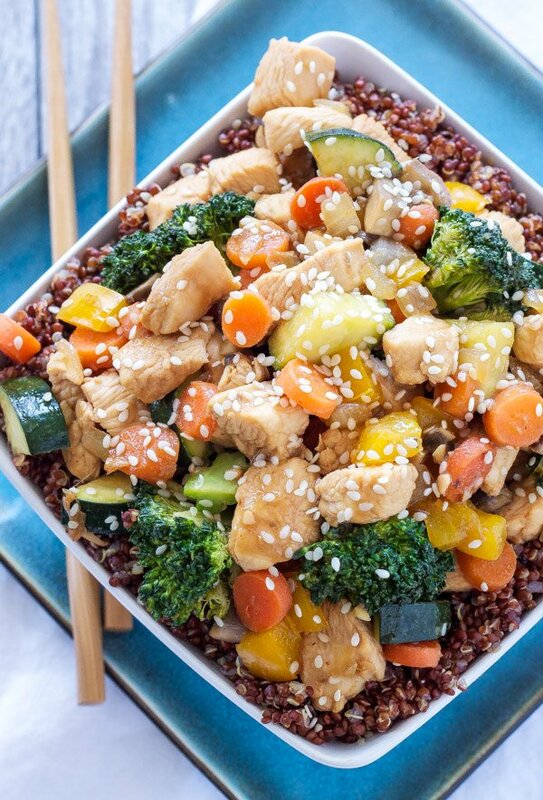 This looks like such a lovely and healthy meal - wishing I had some right now! Thank you! 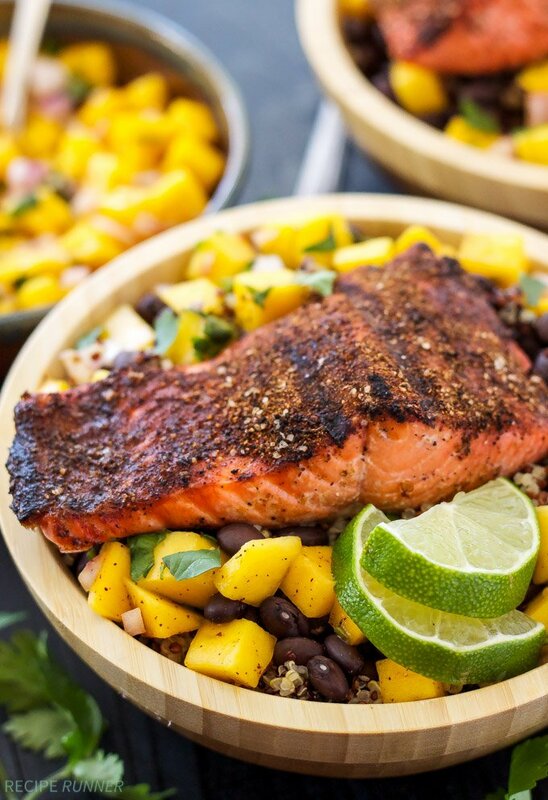 salmon, mango, and black beans truly are a great combination! OMG! I just made this tonight! It was so good! My husband gobbled it up, my 14 year old doesn't like salmon but liked the mango salsa, the 6 year old didn't like any of it (go figure), but my 1 year ate half of my plate and most of the other two kids' plates!! Lol 3 out of 5 is good to me! 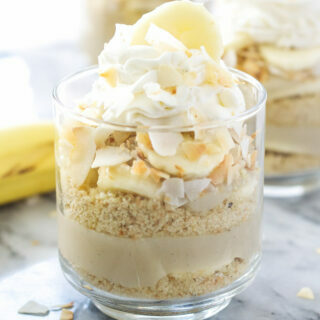 This will definitely be added to my recipe box! Thank you so much! 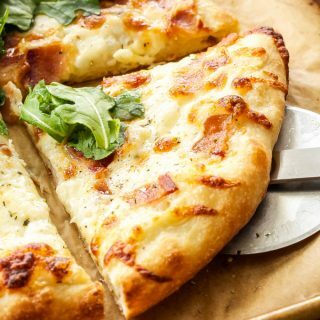 This recipe was crazy good! I made a few changes, but I kept the rub exactly the same and it was perfect! I never used cinnamon in a savory dish and now I'm hooked. Thanks so much for the kind comment Michelle and I'm glad you enjoyed the salmon! I remember the first time I had cinnamon in a savory dish and how surprised I was by how much I loved it! How many oz of salmon?